Barbara Lampert, author of the dog memoir, Charlie: A Love Story, is stopping off at Beyond the Books on Day 2 of her virtual book tour with Pump Up Your Book! Read her guest post at Beyond the Books at http://beyondthebooks.wordpress.com/2012/03/06/the-inspiration-for-charlie-a-love-story-by-barbara-lampert/! 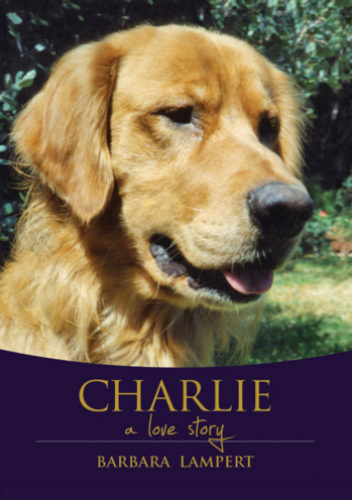 Charlie: A Love Story tells of the beautiful love between Charlie, a Golden Retriever, and the author, Barbara Lampert. It takes place in Malibu, California. When Charlie turned eleven years old and started having some health problems, a journal Barbara was keeping about her garden quickly became mostly about Charlie. Charlie: A Love Story is an intimate look at an incredible connection between a canine and a human. And as a psychotherapist who specializes in relationships, Barbara brings that sensibility and understanding to Charlie’s story as well. Charlie was Barbara’s loyal confidante and best friend. He was indomitable, had a zest for life and an uncanny emotional intelligence. Charlie: A Love Story is about devotion, joy, loss, and renewal, about never giving up or giving in. But mostly it’s about an extraordinary dog and an extraordinary relationship. Barbara Lampert, author of the dog memoir, Charlie: A Love Story, is stopping off at Beyond the Books on Day 1 of her virtual book tour with Pump Up Your Book! Read her interview at Beyond the Books at http://beyondthebooks.wordpress.com/2012/03/04/interview-with-barbara-lampert-you-have-to-want-your-dream-badly/! I had the privilege of being interviewed last night on Barry Eva’s Blog Talk radio show, A Book and a Chat, along with Cheryl Malandrinos, also of Pump Up Your Book Promotion. The show was an absolute blast! Barry’s co-host was Kim Smith who also has her own Blog Talk radio show, Introducing Writers. We talked about virtual book tours, our writing lives, and I managed to get in my story of the haunted cabins I encountered in Pigeon Forge, TN! Fun stuff! If you’d like to listen, click here! There are talks of this being a monthly feature, so stay tuned! We’re Nominated for Best Blog Tour Group! It’s official! 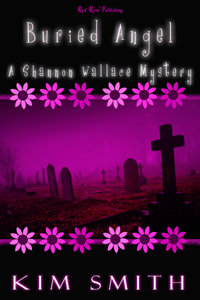 Pump Up Your Book Promotion has made the short list at BBAW for Best Blog Tour Group! The first Book Blogger Appreciation was observed in the fall of 2008 and occurs every September. The week spotlights and celebrates the work of active book bloggers through guest posts, awards, giveaways, and community activities. We are honored to be on their short list for Best Blog Tour Group and would appreciate everyone”s vote. All you have to do is visit http://bookbloggerappreciationweek.com/index.php/awards#pd_a_1964022 and look for the “Best Blog Tour Group” poll. We appreciate your kindness! Polls end on Saturday just before midnight so cast those votes early. Thank you! Heading to the beach with nothing to read? Now you can head out in style with a book from one (or more!) of your favorite authors! Pump Up Your Book Promotion is hosting our very first Summer Beach Reading Giveaway. Four great authors with 4 chances to win! As the Pages Turn is giving away a copy of Dorothea Hover-Kramer’s Second Chance at Your Dream! This is the first book to apply the breakthrough insights of Energy Psychology to healthy aging. Energy Psychology is an exciting new healing method that changes the vibrational patterns in the energy fields to produce rapid emotional healing and a sense of well-being. With the help of the over fifty exercises for rebalancing yourself offered in this book, you can face the challenges and opportunities of later life to create a time of energy, abundance and joy. You can visit Dorothea online at www.secondchancedream.com. Fiction Scribe is giving away a copy of DCS’ Synarchy! Thirteen bloodlines, The Brotherhood, fanatically loyal to their gods, the Anunnaki, have controlled the planet since his-story was written. In 1925 Stefano Vasco Terenzio, head of the Terenzio crime family makes a deal with the Anunnaki to solidify his control over the American Mafia. Clever and manipulative, Stefano’s true goal was to put his family in a position so one day they would be able to turn on their masters. Two generations later, the shockwave he ignited was still being felt. Now, as the world inches closer to 2012, time is running out. The only thing in the Brotherhoods way is Terenzio, a family now divided as a truly epic battle begins that will determine whether mankind continues existing in a world of lies, or shatters the chains that have held it prisoner since his-story was written. Shocking yet hopeful, Synarchy slowly unravels the tightly laced reality we have created for ourselves. Blending the metaphysical with conspiracy, fact with fiction, debut author DCS has opened up a world that will force you to rethink everything you believe about your own. The knowledge within provokes the question; do you really want to know? You can visit DCS on the web at www.synarchynovel.com. The Book Stacks is giving away a copy of Dr. Ronald J. Frederick’s Living Like You Mean It! So many of us long to feel more alive, connected, and secure in our lives, particularly now, in these challenging and difficult times. Why is it so hard? Part of the problem, says Dr. Ronald J. Frederick, has to do with a fear of our feelings—a feelings‐phobia—and the consequences of expressing our feelings to others. It’s this fear that keeps us stuck, detached from the wisdom inside us and distanced from the people around us. And yet positive emotional experiences can actually “rewire” our brain and free us up to experience ourselves and our lives more fully. LIVING LIKE YOU MEAN IT: Use the Wisdom and Power of Your Emotions to Get the Life You Really Want by Ronald J. Frederick, shows how we can overcome our feelings phobia in order to enjoy more satisfying lives. Zensanity is giving away a copy of Richard Aaron’s Gauntlet! Six hundred sixty tons of Semtex is detonated in a massive explosion in Libya – the last of a deadly stockpile. The operation seems to have gone smoothly, but within minutes of the explosion, CIA agent Richard Lawrence discovers that one shipment of the explosive was hijacked en route to the destruction point. Days later, a glory-seeking “Emir” broadcasts to the world that he is planning a massive terrorist strike against a major U.S. landmark. And he gives a timeline of one month. You can visit Richard online at www.richardaaron.com. Four great authors, four chances to win! Hurry before contests end!